A worn out smile can make it difficult to get through everyday life — whether it’s enjoying a meal or smiling at a friend, it can even impact your self-esteem. Fortunately, our dentists can off full-mouth rehabilitation to help you restore your worn out bite for better oral health. We hope that you’ll find the results life changing! In the majority of cases, a worn dentition requires a tooth-by-tooth approach to restoring areas of fractures, decay, and addressing aesthetic concerns. It may mean using dental implants to replace the missing teeth, or even performing gum surgery. The first step is to make an impression of your bite and then create a diagnostic wax up where we propose appropriate treatments for each tooth. This brings the upper and lower teeth into a better occlusion (bite) while also increasing how effectively they can bite and chew. As an added benefit, it can also boost your smile’s appearance! Contact our team of family dentists today to arrange a no-hassle consultation. Convenient payment plans are also available! 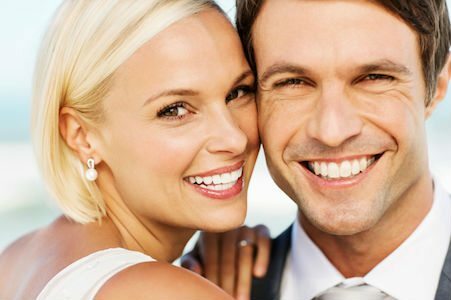 If you want to feel more confident about your smile, Uptown Guelph Dental provides exceptional care when it comes to cosmetic enhancements.